Worship is one of the most important aspects of the life of the church, week in and week out. There are hundreds of passages that tell us to "Come and Worship, the Lord, our God." So, it makes sense that this is an important aspect of our church ministries. This Church Year, July 2018 to June 2019, we have Co-Chairs, Betty Britt and Kathy Westfall leading us. 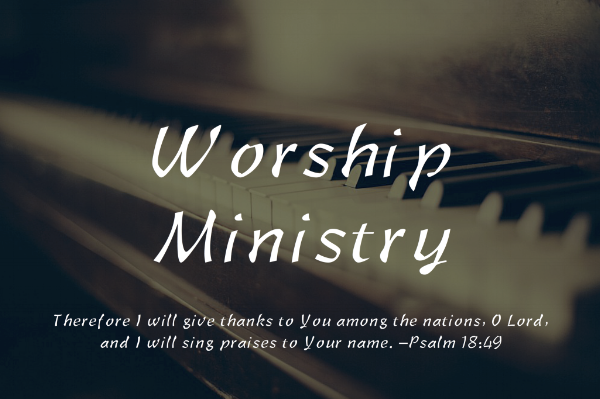 This ministry focuses on developing what Worship will look like each week. From the theme of the week, to the music, to the smallest of details such as flowers and decorations. They oversee making sure communion supplies are in stock, help change paraments, and work with any special services we may have throughout the year. This is particularly important during the Advent and Lenten seasons of the Church Liturgical Calendar.